How Healthy is the Salish Sea? The EPA and Environment Canada are studying the health of our shared ecosystem. Find out what we're learning in the Health of the Salish Sea Ecosystem Report. EPA's determination on "No Discharge Zone"
Salish Sea Ecosystem ConferenceExit April 19-22, 2020, Vancouver, BC. The Health of the Salish Sea Ecosystem Report is a joint effort by the EPA and Environment and Climate Change Canada to track the health of the Salish Sea – which includes Puget Sound. 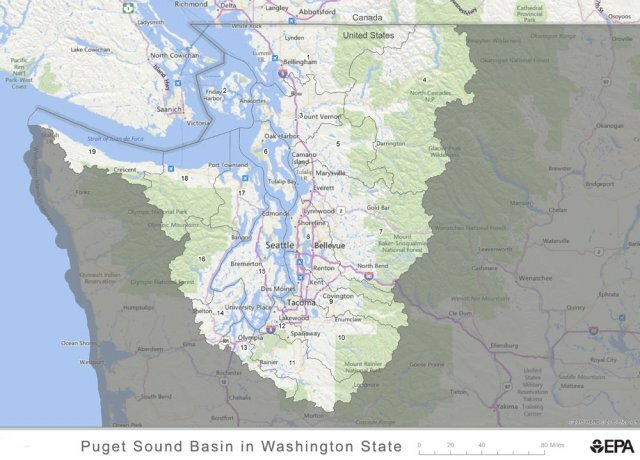 The EPA provides funding and expertise to support research and restoration projects throughout the Puget Sound watershed. 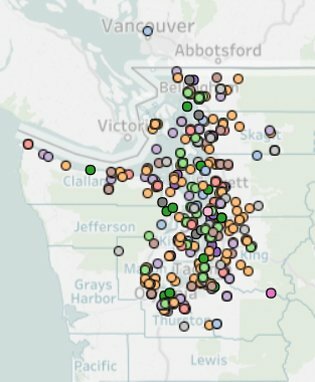 Explore the Puget Sound Partnership's National Estuary Program (NEP) Atlas – an interactive tool with maps, tables, graphs, and reports on NEP-funded activities. Learn more about EPA's National Estuary Program. Puget Sound in northwest Washington is the second largest estuary in the U.S. Learn more about what EPA and our partners are doing to protect it.